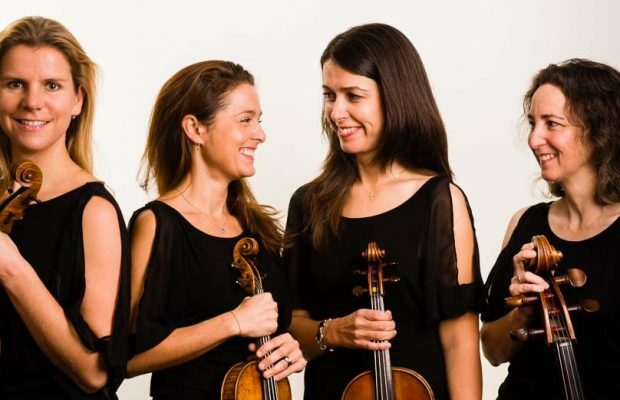 There’s nothing quite like a string quartet to set an elegant tone at your event. A string quartet – consisting of two violins, a viola and a cellist – is a timeless addition to a wedding ceremony, drinks reception, garden party, formal dinner, black tie event, corporate event or fundraiser. 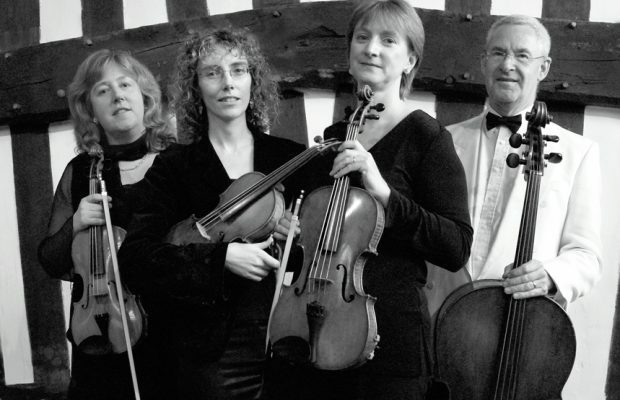 As well as a large repertoire of romantic and classical wedding music, many of our string quartets also perform arrangements of songs in many other genres, including pop, jazz, Bollywood and Jewish music. 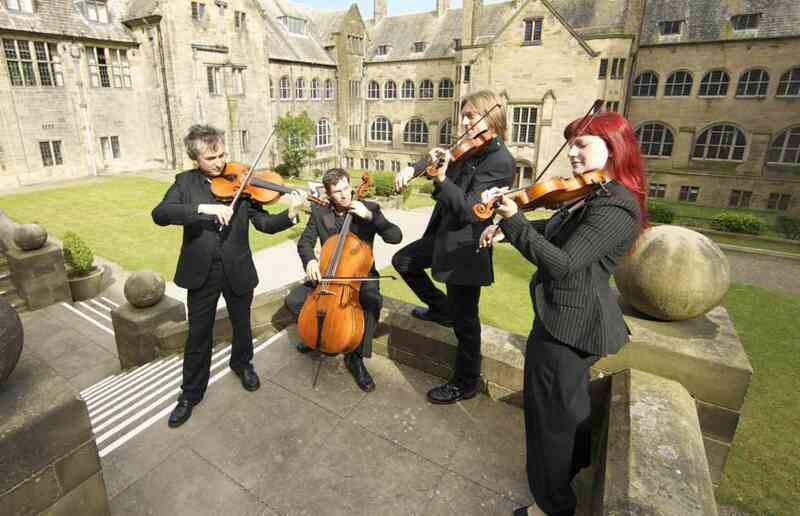 Hire a wedding string quartet to keep guests entertained as they arrive for your wedding ceremony, serenade you whilst you walk down the aisle, or while you sign the register. They can also the perfect gentle background music for your drinks reception or wedding breakfast. Alternatively, book a string quartet to create a sophisticated yet relaxed atmosphere for a corporate event, at a volume guests can talk over. Since string quartets don’t require any amplification or additional equipment beyond the instruments, they’re a convenient choice for outdoor receptions or events at venues where access to a power supply is restricted. 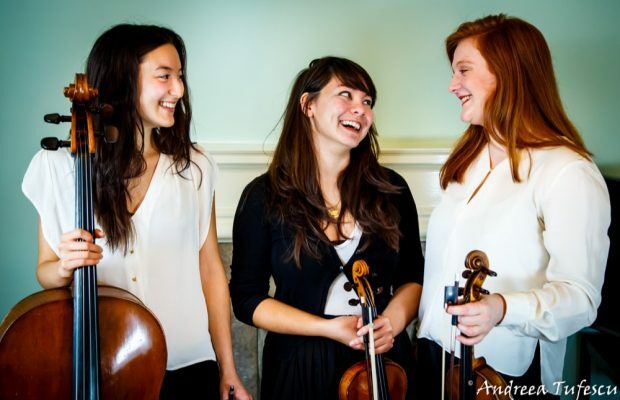 In addition to string quartet hire, we can provide smaller line-ups (for example string duos or string trios) for events with budget restrictions or venues lacking enough space for the full ensemble. See also corporate entertainment, classical musicians, and wedding ceremony musicians. 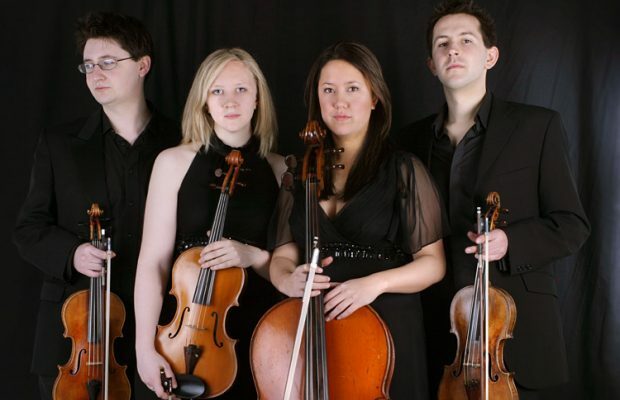 Refined string ensemble with duo, trio and quartet options to suit all events and budgets, plus a set list of modern pop, themes from musicals and TV and classical wedding music. Free song requests are included as standard when hiring this string quartet. 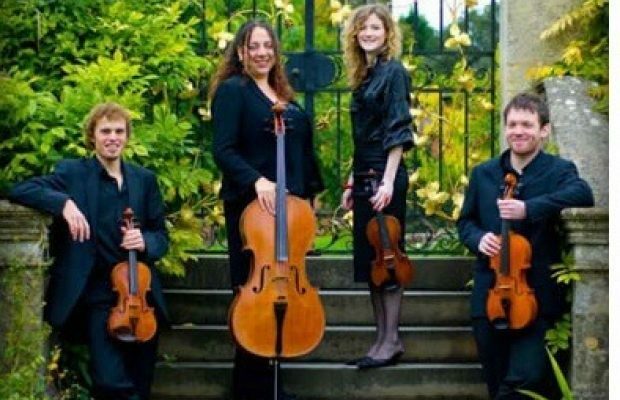 This energetic string quartet will provide the perfect musical addition to your event, whether that’s a wedding, corporate function or private party. With classical, jazz, tangos, musical themes and pop music in their repertoire you will be spoilt for choice! 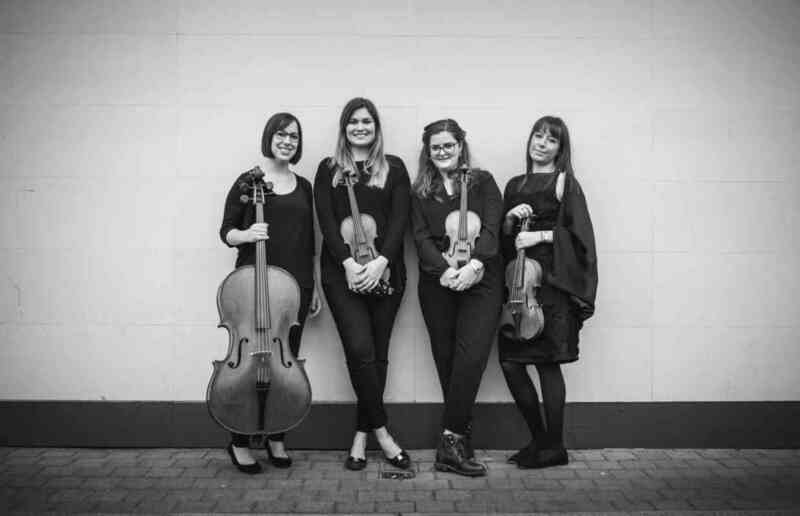 This experienced string quartet have played for hundreds of weddings as well as corporate events and their repertoire stretches far beyond the classical era, taking in jazz, pop and folk arrangements as well as hymns and opera! 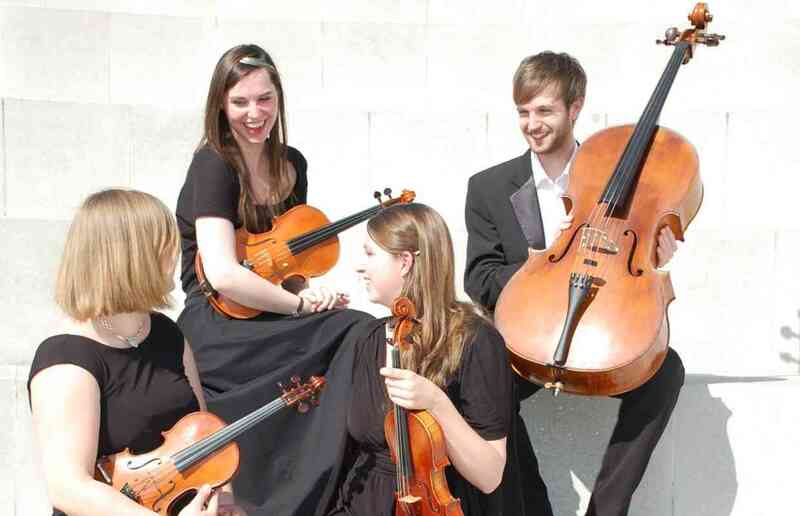 Classy string quartet with a large and dynamic repertoire comprised of both popular and classical music. 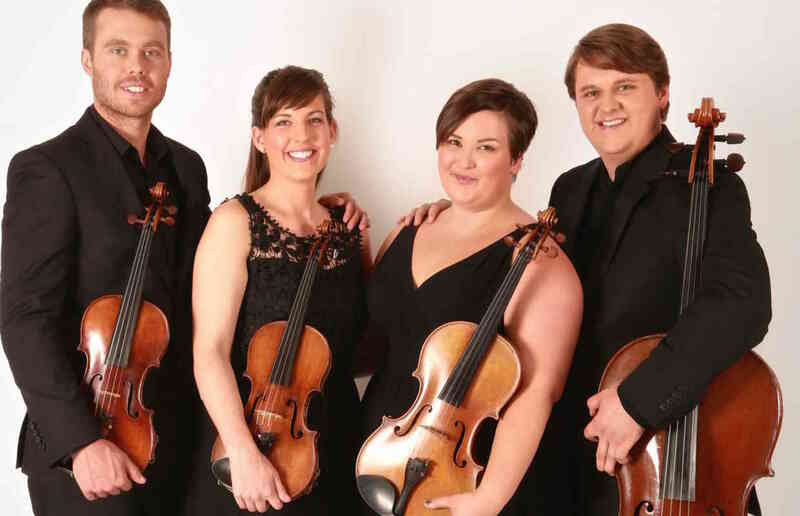 The quartet have worked together for several years, and have individually worked in the West End, in movies and with London's finest Symphony orchestras. 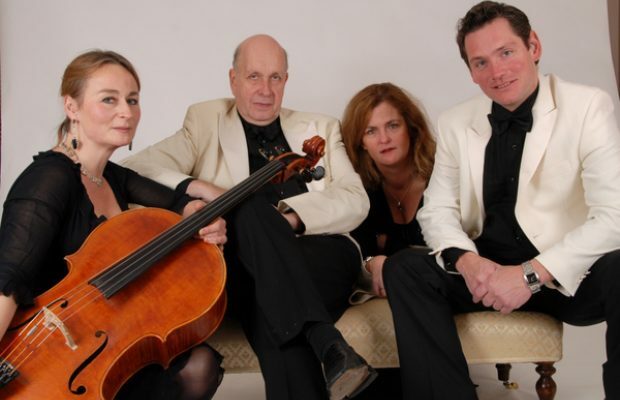 Inspirational quartet whose endless repertoire covers all genres of music from Bach to Bowie, Ravel to Radiohead and Mozart to Muse, plus a collection of special Scottish songs that are very dear to their hearts. Amazing string quartet with a repertoire spanning many genres from classical, romantic and jazz through to musicals, film and pop. 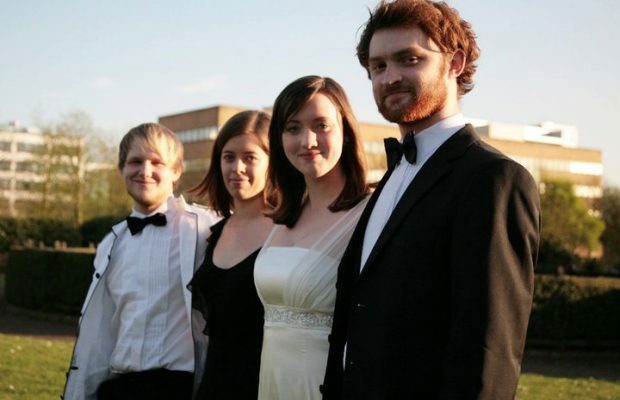 The quartet also offer an arrangement service for any music that is special to you. 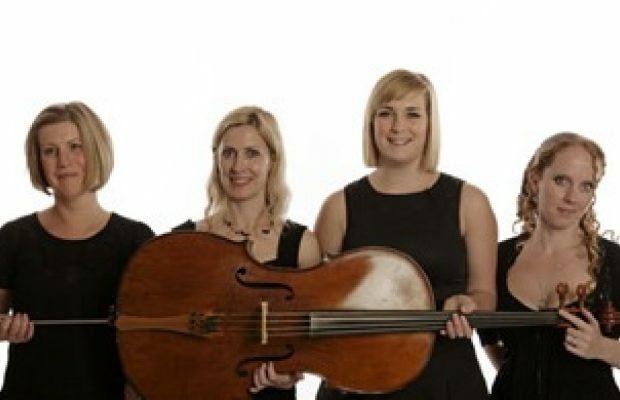 A highly experienced and professional string quartet with an extensive repertoire of classical wedding music, pop and jazz, covering everything from Vivaldi to arrangements of Beatles, via Take That and Aerosmith! 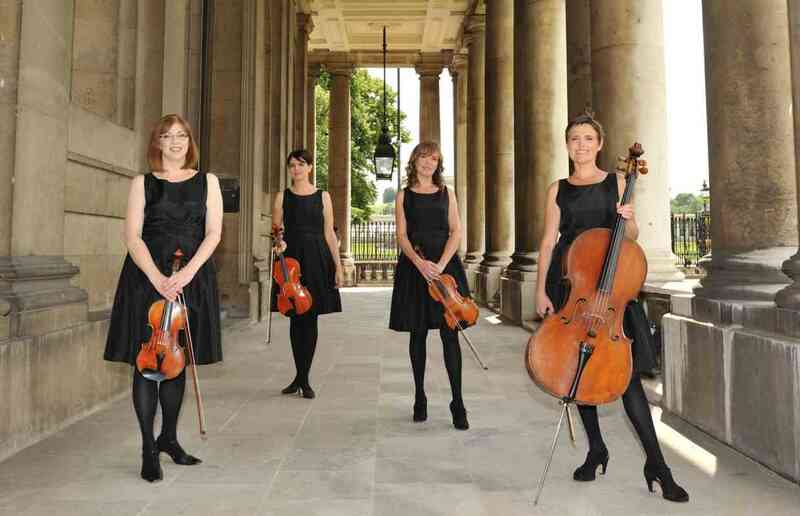 Highly popular crossover London string quartet who know exactly how to make your event one to remember! From the classics to rock and pop, these guys can do it all! Elegant, versatile string quartet, playing a broad range of classical, light, jazz and pop music for functions, corporate events and weddings. 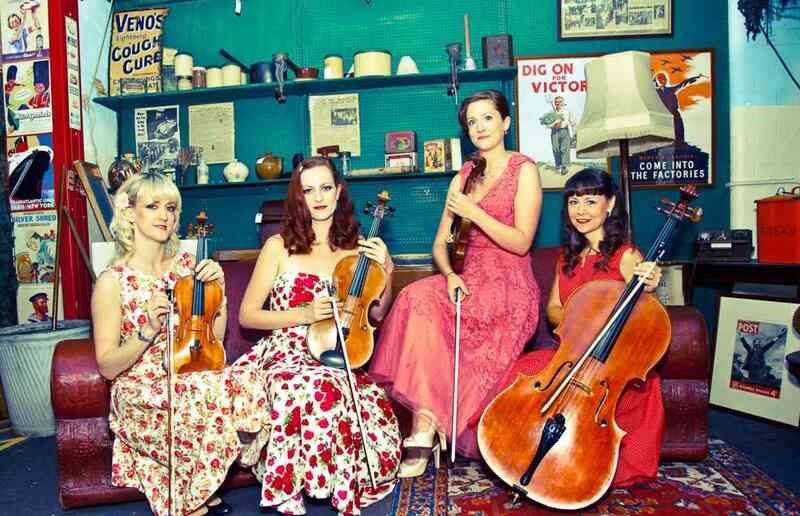 Add a little old-fashioned ritz and charm to your event and book The Heyday String Quartet! This unique quartet perform arrangements of vintage swing songs, as well as classical wedding music. 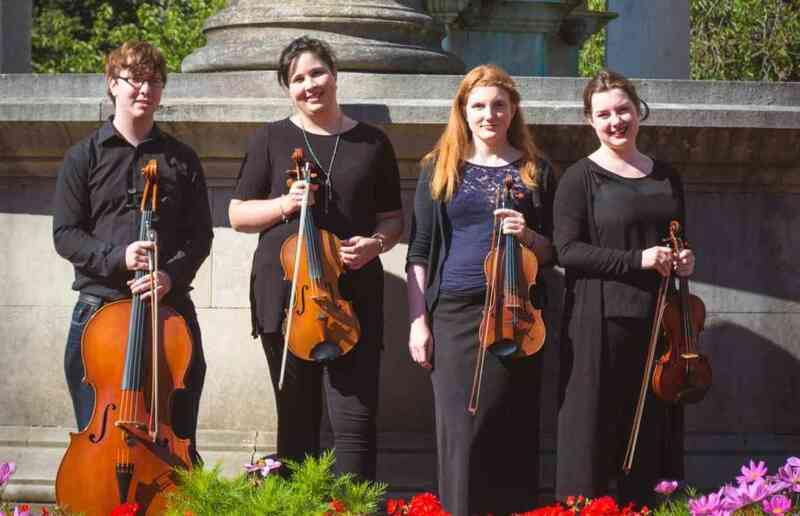 Add a touch of elegance to your wedding, civil partnership, or other special celebration with this fine grouping of London’s finest violinists, viola player and cellist. 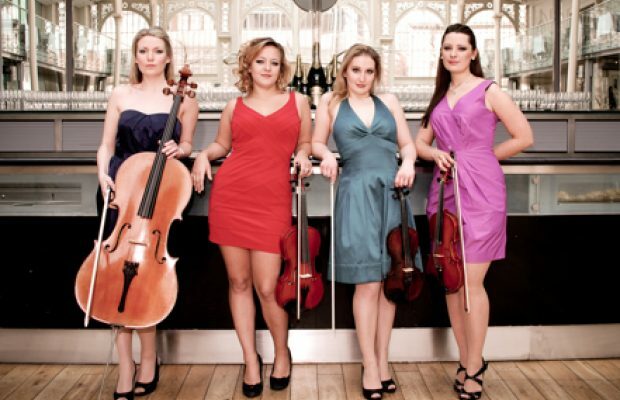 Young all-female classical and pop string quartet for weddings, private parties and corporate events. Stylish, talented and highly professional.